The pinnacle of rugby league is finally here for 2018. The State of Origin always brings the nation to a standstill. And why not? After all, the Queensland Maroons and the Brydens Lawyers NSW (New South Wales) Blues we are talking about. The battle is meant to extend beyond the field when each team is not just playing a game but carrying the weight of the states. This article will take you through everything you need to know about State of Origin 2018 Rugby league including news, dates, teams, venues, how to watch, live streaming, statistics and also the history of the State of Origin. As the game is close, everyone is curious to know which state’s captain will win the shield in 2018? Regardless of the venue of the game in Australia, each team is filled with passion, rage, and excitement to win all the three games. Tickets for the 2018 State of Origin series are available through the leading ticketing partner – Ticketek, Australia. Ticketek has an experience of over 35 years selling the tickets to the biggest live events and venues in Australia. It provides tickets to all the games of State of Origin 2018. The channel Nine Network will broadcast the games live into NSW and QLD in Australia. Telecast times are yet not confirmed and the broadcast times for South Australia, Western Australia and Victoria are yet to come out. The 2018 State of Origin series will most likely be broadcasted by the usual Australian radio broadcasters 2GB and 4BC. Southern Cross Austereo, Crocmedia, Macquarie Media and the ABC are the main Australian radio broadcasters. 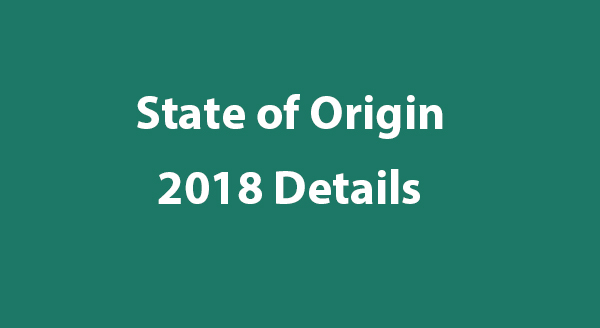 It is in the news that State of Origin series 2018 will now be available for live streaming. Not only that, you can now watch the game on-demand on the Web, iOS, Android, Chromecast, and Apple TV. You can stream State of Origin games live online either through Nine’s 9Now catch-up service or the new official Watch NRL live streaming service. This new streaming service will provide LIVE and on-demand streaming of all the games to all the fans living outside or travel to Australia, NZ, and Pacific Island countries. Undoubtedly, this is a million dollar question to ask specially for the fans of Maroons. Out of all the 36 full series played so far, Queensland Maroons have won 21 series, and NSW has won 13 series with two series drawn. NSW team will enter the series with a new coach as Brad Fittler and Maroons will head in the game again with Kevin Walters as the coach after the success of 2017 series.